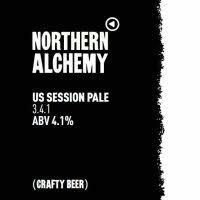 A session pale made entirely with US hops. A combination of Chinook, Pallisade and Citra, added in increasing amounts towards the end of the boil. A malt bill made primarily with pale malt and a touch of wheat.